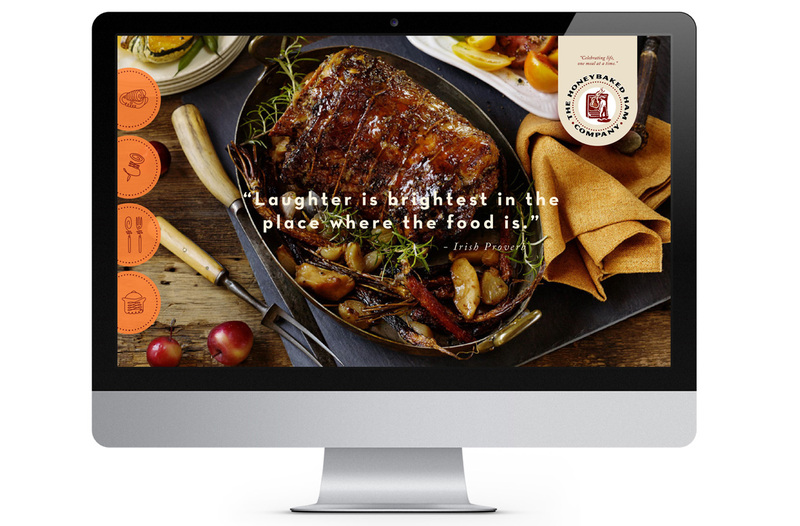 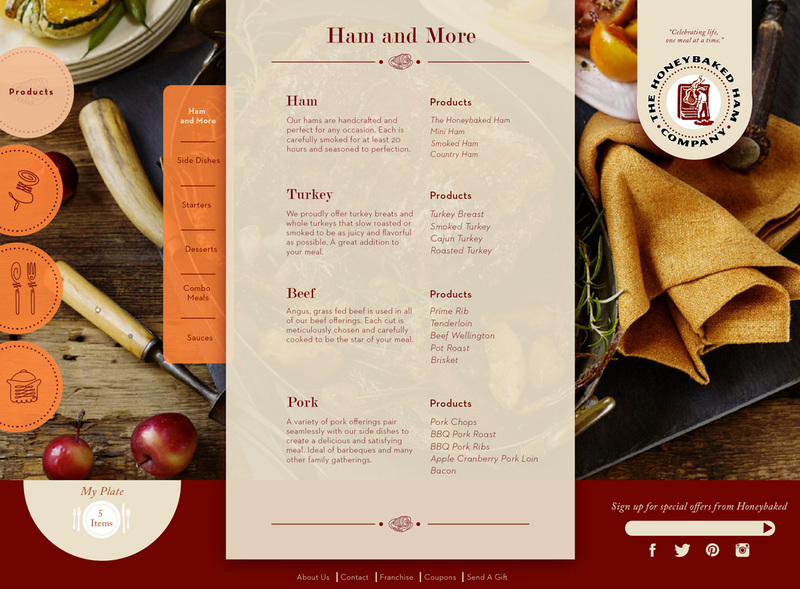 A website redesign that reminds us a good meal is central to any gathering of friends or family, be it for a holiday or just for fun. 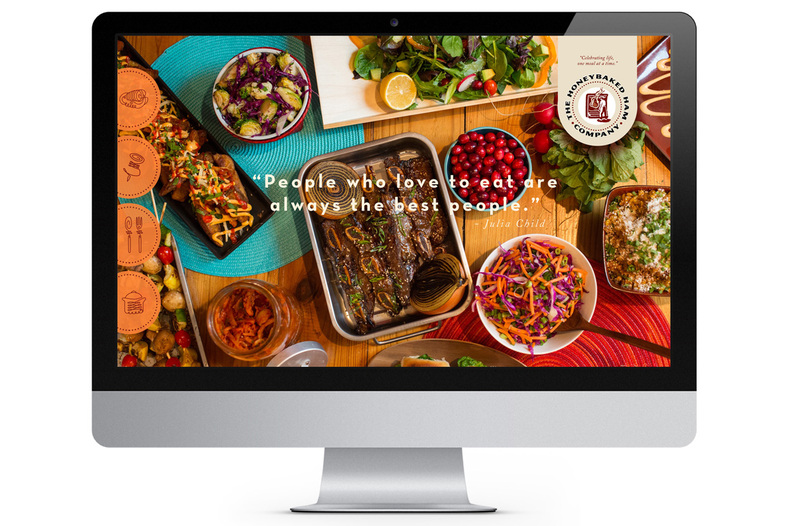 Lush, tasteful photography features food in various tablescapes which can be changed according to season or holiday. 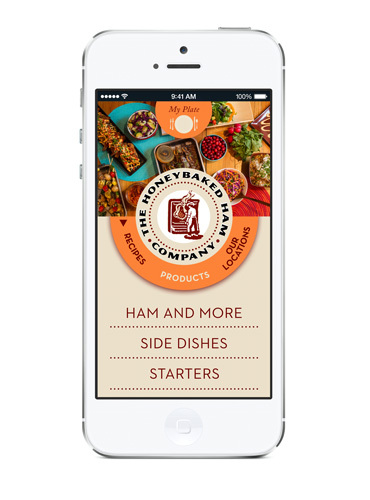 Customers are reminded that HoneyBaked is a great choice for any occasion. 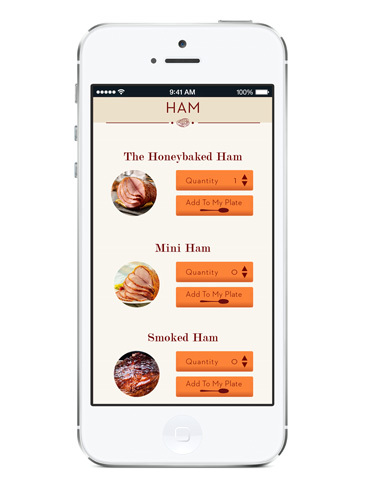 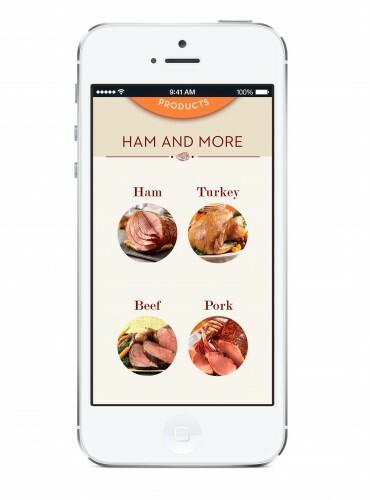 Mobile site for easy ordering. Radial navigation functions like a lazy susan, making each section of the site easily accessible.